Allow customers to message with your brand without leaving your app. Keep them active and engaged, right where they are. Increase purchase conversions with in-app messaging to help with pre-sales questions. Reduce inbound calls and emails with seamless in-app communication. 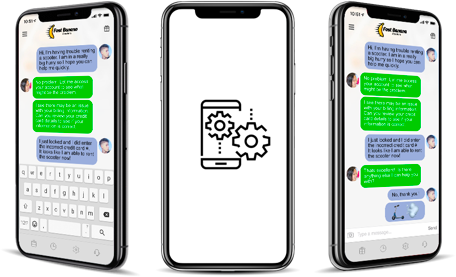 Quiq provides the convenience of text messaging within your app without the work of building it out yourself. Quiq integrates seamlessly into your app, extending your brand experience to your customer’s connected lifestyle. 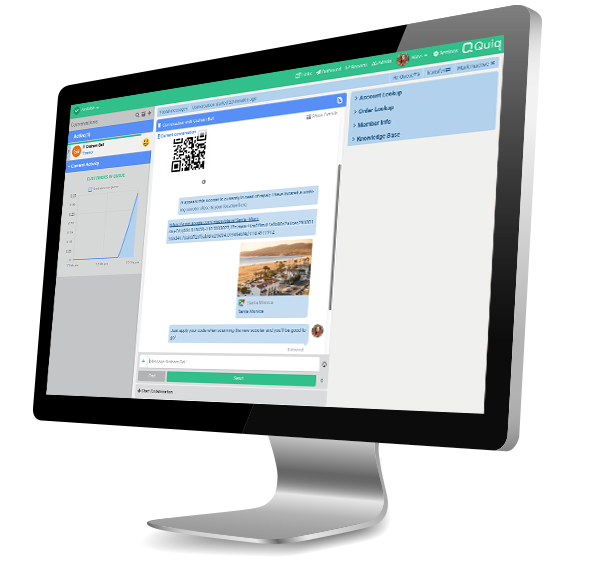 Whether your app is Native, Hybrid or Web, Quiq Messaging can be incorporated easily.